Using only two ingredients and some fruit, this simple cocktail comes together in no time and is quite refreshing! A Christmas tradition between my brother, sister in law, hubby, and myself is rather than exchanging gifts, we exchange a new drink recipe, ingredients included. It’s always fun because it allows us to branch out and try new cocktails, plus, its personalized because you have to put a bit of thought into it rather than grabbing something quickly off the shelf. 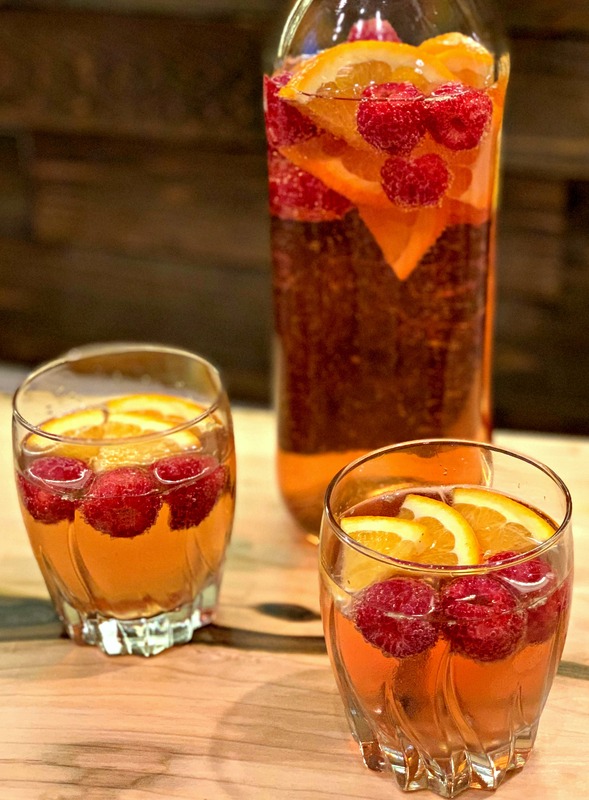 Last year, we received the ingredients for Fireball Jello shots (big hit, highly recommend) and this year, we received the ingredients for this tasty spritzer! We gave them the ingredients for our Amarula Coffee Milkshakes and can’t wait to hear what they think! Have you tried it?? If not, I highly recommend it for you all too!! My hubby whipped this up for us to enjoy yesterday afternoon and not only was it the perfect drink to sip on, but it was quite pretty with the colorful fruit floating in it as well! We made a large pitcher of it since we knew it would be tasty, and it is definitely something I plan on making next time I have friends over. 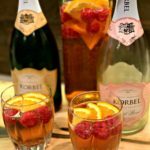 If you have company over for brunch, afternoon appetizers, or even a dinner party, this would be a great beverage to offer. 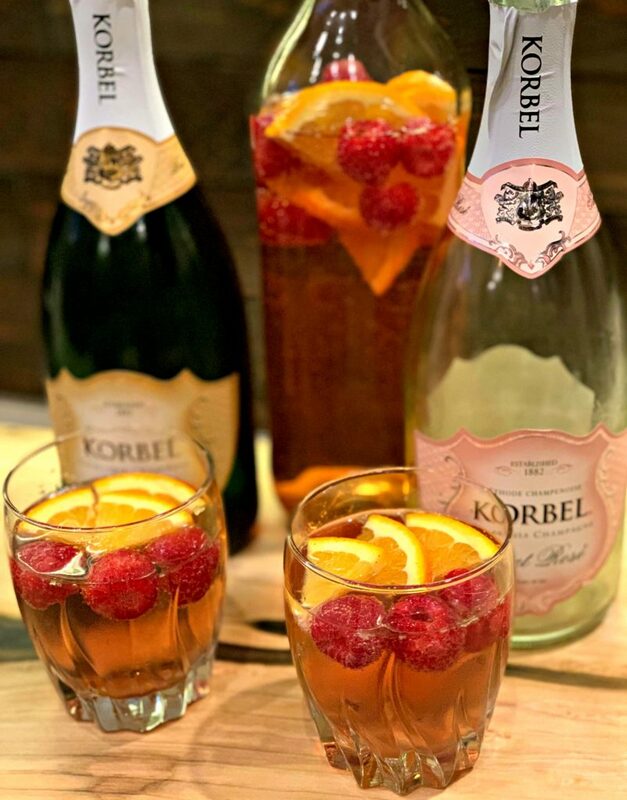 With the New Year coming up (still hard to believe), this is a great drink that is a festive way to go into the New Year! 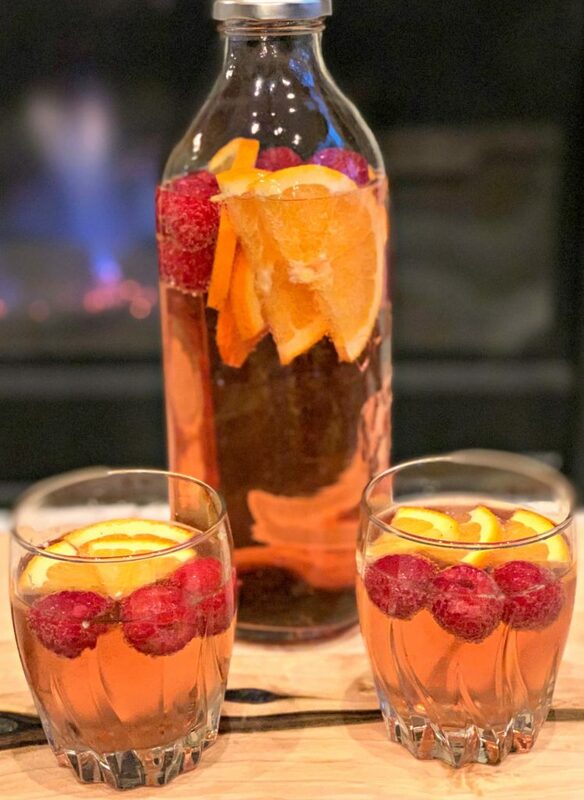 Make a large pitcher, toss in some of your favorite fruit slices, and let everyone ring in the New Year together! Cheers to a wonderful 2019, drink responsibly and enjoy! Can’t wait to see what 2019 has in store, right?! Fill your container with 1/2 bottle Rose and 1/2 bottle of Champagne. *You can toss additional fruit into serving glasses or place fruit wedges on side of glasses prior to serving!